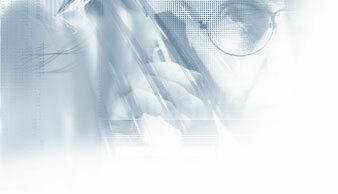 * Information Security - IWC is the developer of the award-winning VIPER-SECURITY technology. * Automatic Language Recognition - IWC is the developer of the Character Language Categorizer (CLC) technology. * Desktop Privacy - IWC is the developer of the PazCleanHistory & IWC PC Cleanup suites. * Video Streaming- IWC is the developer of IWC Video Broadcaster solution for enterprises. We provide consulting services to organizations, can perform professional security audits, and assist establishing end-to-end organizational security policies. We also offer security design reviews for software development firms. We also certify bodies to the IWC-CSO (Certified Secure Organization) security certification and assist in acquiring a BS7799 / ISO17799 / ISO27001 Internationally recognized security standard. We provide public companies assitance in compliance and meeting regulatory demands related to Information Security. This includes establishing corporate governance mechanisms, meeting SOX (Sarbanes-Oxley) requirements and more. We provide professional services to large scale projects and contracts. We can assist in the process or writing RFIs, RFPs, Use-Cases documents, Existing status analysis & System requirements definitions, and even assisting in marketing, business development and critical presentations. We help our clients to make business assessments of their new ideas, and provide them with tools to protect their intellectual property - NDA agreements, patent procedures, and also provide contacts to reliable firms & advocates. We first evaluate the idea and perform market research to provide an answer to our client as for the potential of the idea, and if the idea has business potential we provide all the needed consulting & tools to protect his rights and advance the idea into the business world and in the end to revenue. We also assist our clients in business negotiations on a percent commission basis, making sure they get the maximum amount possible for their inventions. We also own PatentsFund - The intellectual property venture. We also provide professional consulting in various technological fields, currently: datacomm, satellite communications, general technological standardization, cryptography, business intelligence & market analysis. All IWC's Professional Services department employees are senior technological & software business professionals, the best ones on their field.